Over a year ago I wrote a post bestowing my disdain for running. I had signed up for a half marathon to get in shape for my trip to Italy and instead of loosing, I gained 5lbs. To say I was not happy is an understatement. When I returned from my trip, all fat and happy after consuming every ounce of pizza in my path for two weeks straight, I was ready to start something new. So I did P90x for a while. This was ideal for firming things up a bit, but I still had a long way to go to reduce my euro-jiggle. Actually, it wasn’t until I started working with a coach and dieting down for my fitness competition about 6 months later that I actually started to notice a difference, but it wasn’t because my fitness routine had changed that much. It was very much the same as my P90x routine. The difference wasn’t the running, it was my diet. It was not until I became acutely aware of how many calories, particularly processes carbohydrates I was consuming, that I really started to see results. I realized the style of workout I was doing wasn’t driving my results, it was my food intake. So whether it’s yoga, running, weight lifting or belly dancing, your fitness routine is not going to make a tremendous impact on your physique unless your diet is dialed in first. With that in mind, it’s also true that leveraging cardio as an additional tool for fat loss, it can have an impact on your results. 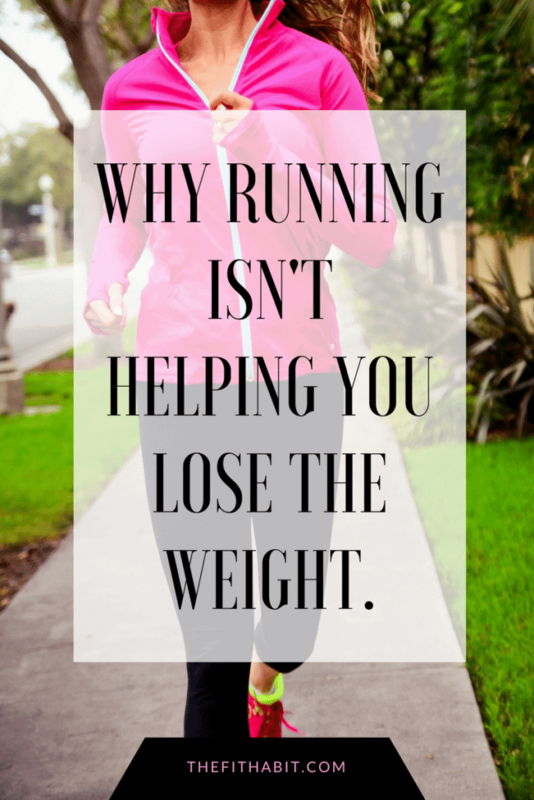 However, long-distance running (like a half marathon) is not an ideal strategy for losing pounds as you need to fuel those runs with lots of calories. And because I workout for aesthetic reasons (just being honest) and not because I just love getting all sweaty, I see no reason to put any long distance running goals back in my immediate fitness plan. That said, I’m really ready to shake things up in my life, as I’ve mentioned a few times that I’m getting tired of lifting weights 5x per week and I want to mix things up again (and stop spending so much time in the gym). The biggest difference between my previous running practice and the way I’m approaching it now is that my diet has completely changed. I don’t use Gu’s and Powerbars to fuel my runs. I’m not eating big bowls of pasta the night before a long run and I’m not putting sugar shots in my water to keep me going. These practices, common to so many runners, are detrimental to weight loss efforts, and more importantly, overall health and wellness. This time I’m focused on fueling with real food and optimizing healthy fats over excessive carbohydrates. The process is called fat adaption and it’s ideal for fueling the body with your own existing fat stores. If you want to learn more about the process and how to eat for optimal fat burning, start here. I also highly recommend reading The Art and Science of Low Carbohydrate Performance. That book changed my thinking around food and also made a significant impact on my “euro-jiggle”. The benefits of this way of eating are not just about fat loss. It’s also a great way to balance hormones, manage hunger and cravings (a huge problem when you’re doing excessive cardio) and generally just feeling in more control of your body. Now over to you – if you’re running three or more times a week and not seeing results. Take a look at your diet and see how much sugar and process carbs you’re taking in. You might be surprised how effective a little tweaking can be to your weight loss efforts!